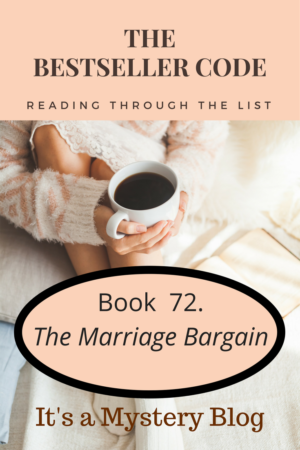 Time to start the discussion of our next novel from The Bestseller Code 100 list, The Marriage Bargain by Jennifer Probst. Summary: Alexa Maria McKenzie needs money badly. Billionaire Nicholas Ryan has to have a wife right away. She is his sister’s childhood friend, so getting married as a business arrangement seems the best solution. Or is it? This novel is part of the bestselling Marriage to a Billionaire trilogy. Have you read The Marriage Bargain by Jennifer Probst? We’d love to hear your thoughts.